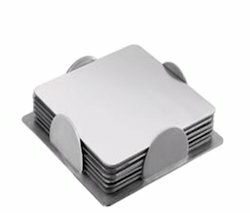 Pioneers in the industry, we offer Tableware Coaster such as Round Coaster, Square Coaster, Triangle Coaster and Oval Coaster from India. 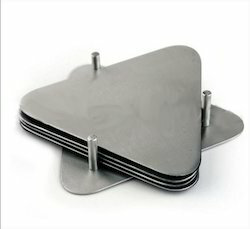 We are among the leading exporters, manufacturers and suppliers of Triangles Coaster. Our team carefully monitors the manufacturing process and purchases the raw materials from renowned vendors. Our customers can purchase these items directly from our company. With the help of contemporary tools we can alter the shape of these coasters. Our customers can purchase from us quality Oval Coaster. 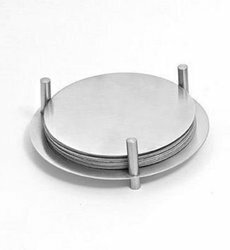 Our professionals use quality stainless steel for manufacturing these coasters. We can even alter the size of these coasters as per the specifications given by our clients. We follow industry standards for manufacturing these coasters. We always follow industry standards while manufacturing these. 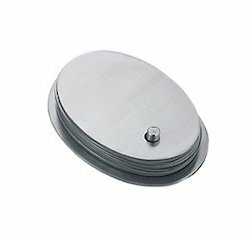 Looking for Tableware Coaster ?